If you have an issue with dirty discoloured grout then we have the answer. Having deep cleaned your floor we can offer long term protection against grout discolouration. The process of “Colour Sealing’ looks and feels like grout, but unlike grout provides a completely impervious protective layer. Colour sealing can be used to restore existing grout or protect new installations for many years on commercial and residential projects. Change the colour of the grout without replacing the grout. 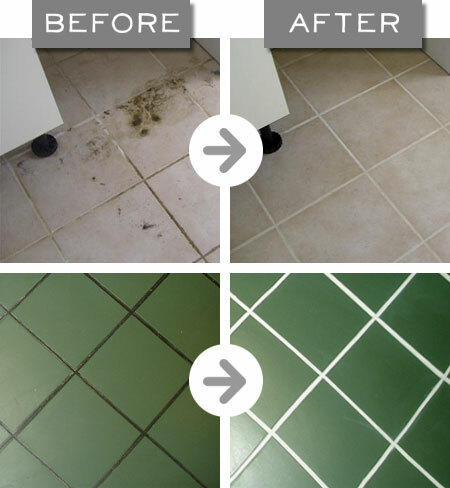 Eliminate grout discolouration, mildew and stains. Brighten existing faded or out-dated grout back to new. Protect new grout installations to stop stains and mildew. Eliminate the usage of harsh cleaning chemicals. Create consistent, uniform grout color for better appearance. No need to replace that expensive tiled floor. Perfect for bathrooms, floors, shower and walls.